Technology has made the world a smaller place. People from every part of this planet use many of the same tools, visit some of the same websites, and mix in various chat rooms online. The internet is a melting pot and a beacon of globalization. And yet it isn’t. The biggest obstacles to global understanding and unity, despite the technological ability for global exchange and communication, are culture and language. Access to information and the ability to communicate across borders and cultural differences, strongly depend on the ability to understand and speak languages. And while automated translations will only go so far in conveying meaning, they are a start to understanding the essence of information that was previously inaccessible. 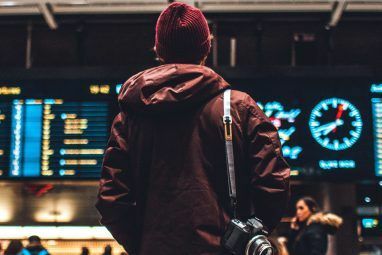 This article introduces a selection of free language translation websites and services that can help you understand a foreign language, improve your language skills, and help others understand your native language. 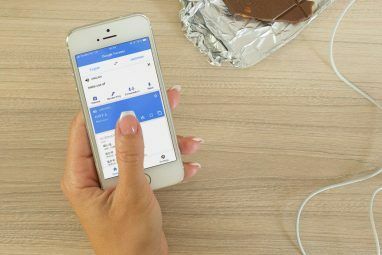 Google Translate is one of the most versatile free online translators. It supports over 60 languages, auto-detects languages, you can listen to audios of words and phrases, view alternative translations, as well as see example usage of words and related phrases. Moreover, Google Translate can translate websites and documents. To translate a website, select the language you want to translate to, then type in the URL (without the http bit) and hit enter. To translate a document, select which language to translate to, then click the respective link in the bottom left, then either choose a file or drag-and-drop a file onto the upload field. Yahoo! Babel Fish was taken over by Bing in 2012 and is now known as Bing Translator or Microsoft Translator. This translator supports 39 languages, offers audio clips for some languages, can translate websites, and translations can be rated. To be honest, the online Microsoft Translator in no way challenges Google Translator at this point. However, it is the best alternative. For those missing the Babel Fish, it is still alive here. Machine translations are very reliable as long as you are only attempting to translate simple words and short phrases. When it comes to complicated sentences or rarely used expressions, however, a good translation usually requires human intervention. This is the strength of MyMemory, a service that supports dozens of languages and has been improved by over 600 million human contributions. The start page looks a bit like a Google search page. Below the search field and language selection, a selection of short translations in various languages keeps updating. Anyone can contribute by rating translations, adding new ones, and deleting wrong alignments. The machine translations offered by MyMemory are pretty bad. Google Translate does a much better job and offered accurate translations for phrases where MyMemory failed completely. However, based on words, users can see many examples of how words are used properly and there are human translations for many simple phrases. This translator has so many little buttons and options that it is a little overwhelming at first. It can, however, be quite useful if you focus on the essential. The feature that sold it to me was being able to compare results from different services, namely PROMT, Babylon, and Microsoft Translate. Google is still listed, but not available. Another interesting feature is the back translation option. Apparently you can also switch the interface language, listen to audio clips, use special characters, run a spell check, and do many other semi useless things not pictured in the screenshot above. German speaking readers will appreciate this tool. LEO can translate from German to English, French, Italian, Chinese, Russian. Translations work in both directions, so LEO can translate any of these combinations vice versa. On the front page, choose your combo, then enter your ‘search term’ into the search field. LEO is a dictionary style language translation website for translating words and simple phrases. Additionally, it has an active user base contributing to discussion forums and improving the dictionary itself. At the bottom of every dictionary entry, you will typically find links to discussions relevant to your search. As the screenshot above reveals, LEO also offers a free language trainer, to which you can manually add vocabulary. Do you often need to translate within documents? This article shows how you can translate on the fly and without losing the formatting in Microsoft Office and OpenOffice. If you own a website, check out these 2 Great Widgets to Translate Your Website into 20+ Languages 2 Great Widgets to Translate Your Website Into 20+ Languages 2 Great Widgets to Translate Your Website Into 20+ Languages Read More . Don’t need a translation, but want to recognize a language? Try Polyglot 3000. 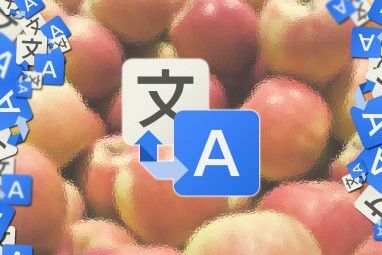 Between which languages do you have to translate often and which tools do you rely on? A fellow... from is developing app based on this... its rocking saw it on tv.... its like voxer... hold and talk and then gives the ouput in preferred language ..
Indonesian to English or Japanese to English. These tools are fun to toy with, but I quickly learn to dislike them because so many classmates are using the result directly for group project, resulting in a very big mess, especially for the project leader who must deal with the headache fixing them. And I'll never forget how a wannabe bilingual teacher decided to write exam questions with Google Translate. I passed that exam by not looking at the problem sheet and chose random options. Seriously, that wasn't going to be forgotten by anyone in my year. Thank you for your review of ImTranslator, Tina. We have developed this (and other online translation sites) to let our users try various online translation resources in one interface. This site is designed for users from different countries with various levels of expertise. One group of users need simple copy-paste-translate level, while other clients use various language tools and options such as virtual keyboard, back translation, spellchecker, reference dictionary, Russian decoder and others. Language learners use the text-to-speech feature to practice foreign languages, and so on. Therefore we tried to combine and implement best language technologies to guarantee the most convenient and efficient communication in foreign languages. We do our best to keep our services free. As you may know, last year Google eliminated the free access to its translation service for developers like us, and introduced a paid service. Because, we don't have enough resources to provide free translation for all Google languages, we now use Google only for the languages not supported by other translation providers, such as Microsoft Translator, Babylon and PROMT. 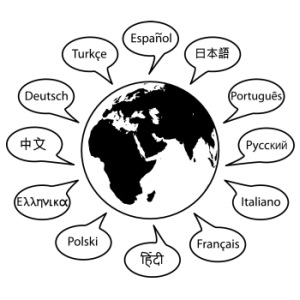 But we have developed and launched a Google Translate addition to our ImTranslator add-on for Firefox https://addons.mozilla.org/en-US/firefox/addon/imtranslator/ which now supports all 66 Google languages. Another interesting site is our ImTranslator Comparison tool at http://imtranslator.net/compare/ which translates and compares 4 translation providers site-by-side and allow you to choose the best translation. Again, thank you for your review, and hope your readers will find it useful. Thanks a lot for the explanation and additional resources, Julia. We also have a translation service available which we have won an education award for. It speaks aloud and you can translate written text in over 50 languages. Find out more at http://www.emasuk.com. I use Google Translate and it's helpful whenever I encounter a webpage present in other language and Google translates it for me. Thanks! I have switched to google translate because I was not allowed to install any dictionary app. So now I have other tools I can use, even if I am 100% satisfied with google translate! I only have used Google Translate and its been really helpful! And its good I know of couple of other good ones which I could use as a supplement. Thanks! When it comes to translation, the only "tool" you may rely on is a professional translator. Grammar-wise, no two languages have the same structure. Therefore, not now, not in a trillion years will any machine translation software be accurate enough. - The text had been copied and pasted into an Excel sheet in no particular order and most cells often had very short phrases or even only one word. In translation, CONTEXT IS EVERYTHING. One of the problem words was one as simple as "found". In Spanish you may have no less than four different renderings for the word, depending on whether "found" refers to a feminine or masculine noun and whether it is singular or plural. Picking one at random will never work if you need accuracy and if a human translator cannot work it out, no software ever will. - The website belongs to a company in Eastern Europe. The English file I received was a poor translation done by a non-native speaker. There were words and phrases I couldn't figure out. There was also a column with the text in the original language. So what did I do? I used Google Translate: I introduced each and every word/phrase in the original language and had GT show me the versions in Spanish, English, French and Italian. The results were disparate and while some renderings were similar in all four languages, some others were totally different (which left me scratching my head). - The English version of the website had not been uploaded yet (and for one thing, I did not even find the original website on the net!) so there was nothing to go by. For instance, if the English version had been online, I would have been able to understand what "found" referred to. Finally I resorted to the Project Manager at the translation agency that had sent me the assignment. It took me about eight hours to write the email, highlight all the issues and write in all the queries on the .xls file... only to be told to "use my own judgment and go for the option that seems most reasonable". As I explained above, without any context nothing "seems reasonable". When words matter, guesswork is not an option. Thank you for sharing an insight into your work, Monica! I hope your job isn't always that tough, though. My job isn't always that tough, though I usually search and research to make sure the Spanish version I provide totally reflects the English original. That is why I've taken pride in my work each and every time for 37 years now. I don't suggest using those for Chinese, Korean, or Japanese. I have some fluency in those three and the options on this article are horrible. Sadly there isn't really good choices available due to language structure of those languages. For French, it's pretty good. I assume it's pretty good for Latin based languages as well. Thanks for the heads-up, James! Machine translations are most certainly weak for many languages, especially when trying to translate sentences. Are single words at least translated correctly into Chinese, Korean, or Japanese? It's not that bad for single words. Once it gets into sentences or anything that trying to convey meaning, it gets dicey. Just doing some quick sentences, I find Chinese is best translated followed by Japanese then Korean. Could be because that is also the rank by popularity so more data and more incentive for people to work on translation services. Could also be because Chinese is SVO (like English) while Korean and Japanese are SOV. I guess there is a reason those three are considered the hardest languages to learn for native English speakers. I been exposed to those languages growing up and I still have difficulty and wished there was more tools available. Thanks for the article . I have used google translate for a while now but its nice to know about other options and how they stack up.